This book deserves 2 stars for the extremely un-appealing withdrawal that the heroine suffered in mid book. I did not feel for her suffering one bit, instead of trying to do better, she gets worse and takes more pills, pills all the time. This addiction of pill taking on the page feels like someone telling you they need to pee or brush their teeth every 10 pages or less. Considering the book is not first person POV this material is crap. The author can skip to the point of view of Terrible or Lex or someone at the church, instead it feels like first person narration full of unnecessary information. I hate to be used by authors to sympathize with abused women on drugs to fill up the pages on top of the extremely difficult to understand slag of 50% of the characters. The book picks up in the last 30% and is very interesting, that is why I am continuing on, but it gets harder to forgive as I go along all the things that it lacks or has too much of. I just have to say wow. Wow! I LOVED this book. I thought the first one was a really good start, but obviously, it's like a drug (kind of appropriate considering...) and after that first taste you get hooked, because I really, really enjoyed this book. Well, whatever the case, Chess Putnam and the Downside series is my new reading drug of choice. 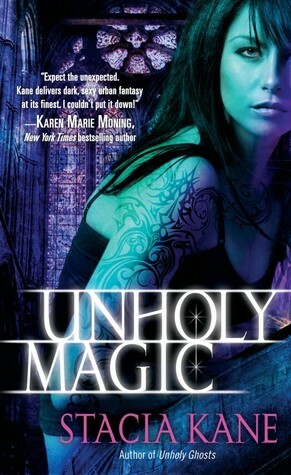 I finished this book, Unholy Magic, the second of the series, and promptly went into withdrawl because I was on vacation and unable to pick up the next book immediately. I plan on getting my next fix as soon as possible.Chess is back and it seems she's sinking even further into her drug-supported existence. 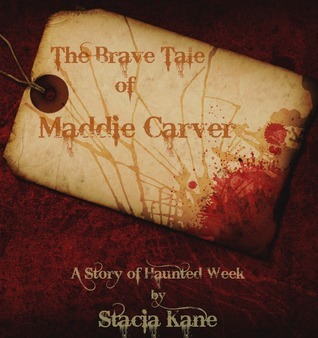 After first being poisoned by a psychic con man, she is given the task of debunking a famous actor's claims of haunting. 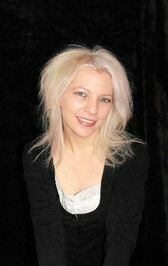 Chess is a debunker - her job is to expose those who seek to profit off spiritual activities. She's also a junkie and the most unlikely hero you could find. Actually, her life is more like a train-wreck. Her childhood was spent bouncing from one abusive foster home to the next. Now an adult, she's a drug addict dependent on her pills and speed just to make it through the day. 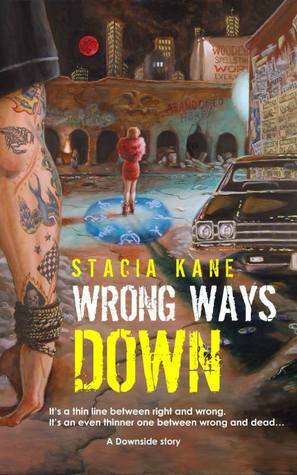 In the first book, her drug addiction caused her to get in over her head to her dealer, Bump, and in this one, we see that Bump still has a hold on her when she is 'asked' to investigate the gruesome murders of several hookers belonging him. 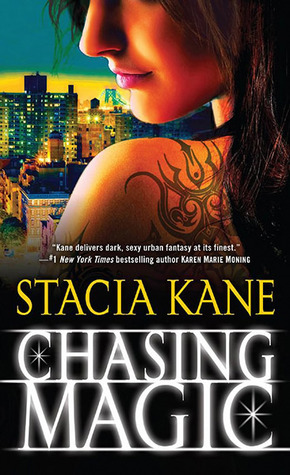 As Chess settles herself deeper into the haunting and murders, she finds a remote connection that could spell disaster for her and all those involved.Kane has written one of the most dark and disturbing Urban Fantasy's I have read in a long time. Enticing and addicting from page one, you are once again submerged into Chess’s life. The world building is fascinating, the dialogue, once you get used to it, realistic (to the world Kane builds), and the characters are so alive, they practically jump off the page at you. 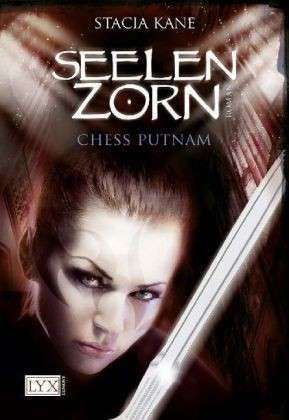 Chess is a hard main character to like at first, but she is quickly becoming one of my favorite urban fantasy heroines. Yes, she’s an addict, who gets twitchy, itchy and even physically ill if she goes too long without a fix. But she is a very true character, flaws and all. The emotional wringer she puts herself through is painful yet compelling. Even though Chess is sinking further into the mire and muck of her own sordid world, she has begun to question the whys of what she is doing and does not like the answers. Her increasing attraction to Terrible, and the mistakes she makes because of it, is almost painful to read. Chess is scared. Scared to feel. Scared to hope. She is her own worst enemy. I have to say that Random House, the publisher, is like a drug pusher - giving us a taste of this great new series with three books in rapid succession. 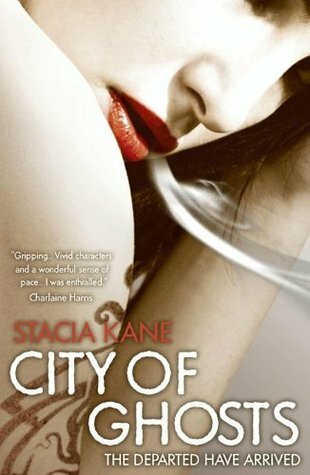 But what am I going to do when the last page of the next book, City of Ghosts, has been read? I'm sure I'll be jonesing for my next fix....it may not be pretty. re-read coming with the few MacHalo girls that liked the first book! Wow, much better than the first one. Yeah... Terrible is pretty dreamy. just couldn't put it down!